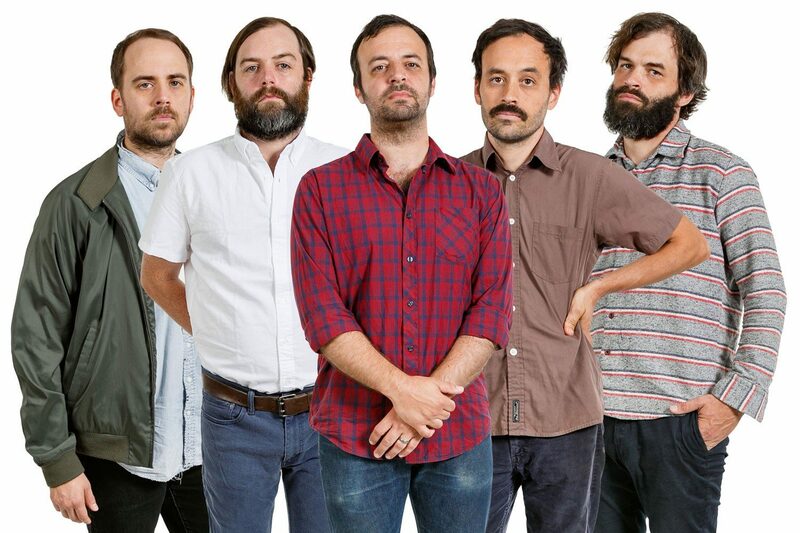 mewithoutYou: "I'd like to think that it's not too late to start again"
Cult faves mewithoutYou are getting on for twenty years in the game, and they're still one of the most interesting bands around. Published: 10:32 am, October 24, 2018Words: Steven Loftin. After taking a personality test, mewithoutYou frontman Aaron Weiss realised it was time to shake up his viewpoint. "The [category] that I fit the most squarely was 'the perfectionist'," he admits over the phone after a long day filming a new music video. "Somebody who's always trying to make something perfect, or trying to make the world perfect - make their world perfect." Perfectionism for Aaron has always been a concern. His lyrics over the course of mewithoutYou's career are overflowing with intricacy; in the past, he's even sung in Arabic (‘The Dryness In The Rain') and has a song that utilises French to reference artist Rene Magritte (‘Dirty Air'). Now, he's more than happy to show how this reflects upon his newfound inner-understanding. "In my case [it's] write the perfect song, or be morally perfect and pure. That may have its merits, but it can also be exhausting and have some negative repercussions. "The personality type that I was most interested in becoming was 'the observer', and that's somebody who's able to take a step back; watch and listen and try to learn about what's going on. When I saw that one, I immediately aspired to be like that." mewithoutYou are always pushing forward to better themselves, or at the very least, open their minds up to something new. "I don't know if we can change our personality types in any fundamental way, but I have to believe that we can make progress in a certain direction if we set our intention that way," Aaron muses. "I have tried to step back and rest, and to be more accepting of things as they are, and become more interested in learning about things as they are, rather than prioritising making something into something it's not. Even if it's a well-intentioned gesture to improve a situation sometimes, that can in itself be a burden." 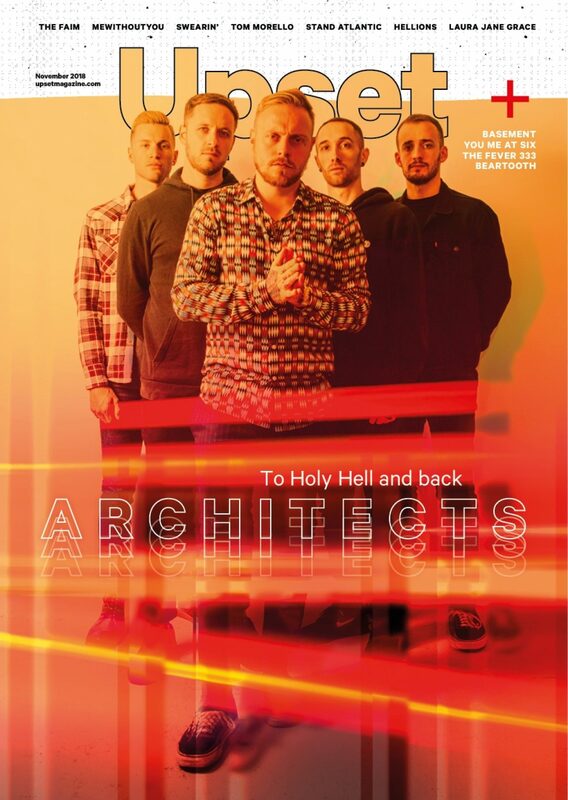 "I'm not even sure what that word ‘spiritual' means"
Seeking to change himself up, all throughout the band's new album '[Untitled]' there are moments to be observed. Instead of presenting us with an album of direction, what we have is the equivalent of a journal. This idea is all the more cemented by the title of both the full-length itself and its accompanying EP, '[untitled]'. "It felt like there was nothing that did that in a way that was necessary, and so I just shrugged my shoulders and said, ‘I'm not going to give it a name, if anybody else wants to try, go ahead'. "To name something, you're kind of putting it in this frame, or this context - trying to summarise the whole thing in this bitesize phrase. This time around it just didn't feel like there was such a thing, I just let it go." Over their career, Aaron's lyrics have been dug up, excavated and scrutinised by fans and onlookers alike. With some of '[Untitled]''s tracks named with simple numbers - dates, and miles, to be exact - it's a fair assumption that this would open a world of intrigue; especially for opener ‘927am, 7_29'. "There was an attempt to capture these moments in a naked, stripped back form, and just take a snapshot. Like, right now, I'm in a room, in an old abandoned school, with hardwood floors, and an alphabet on the wall and a crappy painting, and some cabinets. So if I just took a snapshot of that, it would just be there." The journal aspect of what '[Untitled]' has taken on means we're all now privy to days of his life, those that are intimate and personal, but for Aaron, this is all a par for the course of giving everything he has to mewithoutYou. "If you're not growing or changing, I'm not sure what the point would be in continuing to reiterate the same thing. And given that the lyrics feel like mostly my responsibility, that's where I have to be more intent on developing my inner life - my mental life, and emotional life. "I certainly never want just to sit back and feel like I've arrived, or that the story is told and that there's a period at the end of the sentence," he muses. "Of course, I don't expect to be making records forever, I don't know how long that will last, but as long as it does it's going to reflect that ongoing process of the inner development and questioning and searching, and for me that's just so thoroughly steeped in language that is generally associated with spirituality. "But honestly, it's not even necessarily an explicitly spiritual pursuit, and of course, I'm not even sure what that word ‘spiritual' means, to whoever might be reading this, or even the other guys in the band - or my own wife!" Aaron's practical understanding, the constant personal development and seeking of grander notions holds itself as a backbone for a band who continuously err themselves closer to the unknown. Refusing to lay complacent, they're on a voyage of discovery, on the planes of both musicality and spirituality. "I'm almost forty years old, but I'd like to think that it's not too late to start again," he deliberates. "At least in some meaningful sense, that we're able to step back form whatever patterns and habits, or thought or behavioural habits, and reexamine things and try to begin anew - and just see what happens." Opening up further on the questions he had to ask himself, he withdraws slightly while considering his answer. "What would be the effect if I were to change my mindset and make a conscious effort to let go of certain practices, or at least to fess up to the negative sides of what I've become, and to ask for help?" With a tentative voice, he continues. "To ask other people in my life… well, to apologise first of all; to the other guys in the band, or my wife, or my friends. Apologise for whatever burden I've been in who I have become, and then to try…turn over a new leaf… and try on different perspectives, and see how it works? I don't know, it's still a pretty new process to me, but I think it's been beneficial." '[Untitled]' and the unknown that it's rooted in continue to serve mewithoutYou as brave purveyors of seeking an understanding that very few would think to explore, and with Aaron at the helm, they look set to further establish themselves as this beacon - even if it is a bit nerve-wracking. "There is a fear in stepping out beyond what you're comfortable in, or these established beliefs, or these patterns," ponders Aaron. "There's a comfort in having that sort of citadel you build around yourself of what you know to be true." Taken from the November issue of Upset. mewithoutYou's album '[Untitled]' is out now.